Maureen is president of Global Sales and Marketing at GE Asset Management, a global, multi-asset-class investment adviser with over $100 billion under management. In this role, she leads global distribution at the asset management arm, drawing on her more than 25 years’ industry experience to provide unique market insights. She previously held senior sales roles with Highland Capital and Bear Stearns. She is currently on the boards of the City College of New York 21st Century Foundation and She’s the First, which named her its 2015 Mentor of the Year. 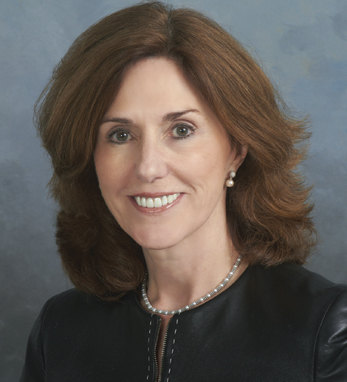 She also serves on the Investment Company Institute Board of Governors and is a member of the board of directors of GEAM and GE Investment Distributors, Inc.
Raised in New York City, Maureen attended City College of New York and received a graduate degree from Fordham University. A four-time Business 100 honoree, she is a first-generation Irish American with roots in Sligo, where her father worked as a lobsterman before immigrating to the U.S., and Galway, the birthplace of her mother. She has two daughters, with whom she has traveled throughout Ireland.